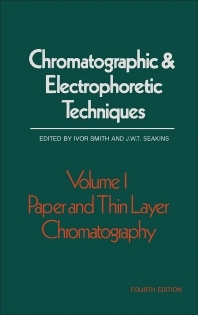 Chromatographic & Electrophoretic Techniques, Fourth Edition, Volume I: Paper and Thin Layer Chromatography presents the methods of paper and thin layer chromatography. This book discusses the practical approach in the application of paper and thin layer chromatography techniques in the biological sciences. Organized into 18 chapters, this edition begins with an overview of the clinical aspects related to the detection of those metabolic diseases that can result in serious illness presenting in infancy and early childhood. This text then discusses the three major types of screening for inherited metabolic disorders in which paper or thin-layer chromatography are being used, including screening the healthy newborn population, screening the sick hospitalized child, and screening mentally retarded patients. Other chapters consider the procedures for thin layer chromatography. This book discusses as well the complexity of amino acid mixtures present in natural products. The final chapter deals with the detection of synthetic basic drugs. This book is a valuable resource for chemists and toxicologists.